"I want to update from my old Android phone to the latest iPhone X, but I have so many interesting and memorable videos on my Android phone and I want to transfer them to the new iPhone. They are running different OS so I wonder is it possible to transfer videos between them? I will appreciate your suggestions! " First of all, you need to find a reliable tool that can help you achieve the videos transfer from your old phone to the iPhone X or iPhone 8. 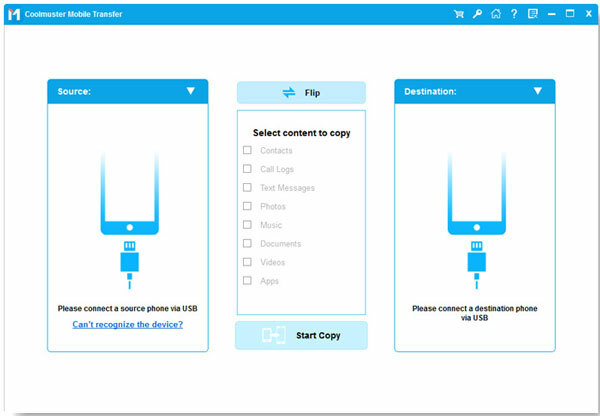 No matter your old phone is in Android or iOS system, iPhone Videos Transfer is fully capable of transferring your media files and personal information from your old phone to the new iPhone X or iPhone 8 in a smart way. 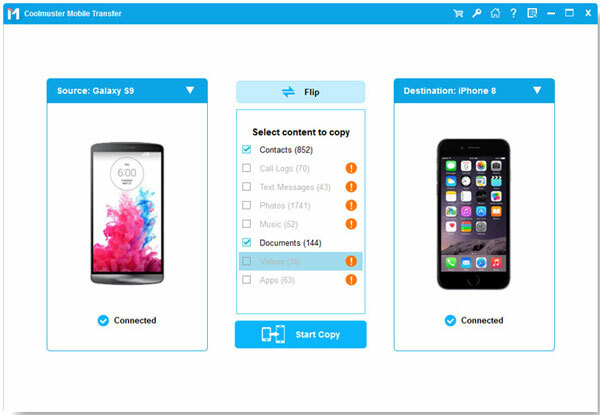 It allows you to copy contacts, text messages, call logs, photos, music, apps and more from Android phone or iPhone 7/7 Plus/6S/6/5S/5/SE to the latest iPhone X or iPhone 8 or iPhone 8 Plus. Only three simple steps, you can complete the videos transfer to iPhone X/8. Refer to the following guide to see how easy it is to use the iPhone Videos Transfer. How to Copy Video/Movies to iPhone X/8 In A Batch? Once the program is downloaded and installed, you can launch it and its main window will pop-up like the following picture. You can choose "Phone to Phone Transfer" option from the primary interface. Link your old phone and new iPhone X/8 to the computer via two USB cables. The two connected phones will be detected by the software and displayed on the interface side by side. Tick off the "Videos" tab in the middle of the window and click the "Start Transfer" to begin to transfer videos from your old phone to the new iPhone X or iPhone 8. There will be a transfer progress bar showing you how much data has been transferred. Note: Make sure the new iPhone X or iPhone 8 is on the right side, otherwise, you should click Flip to change their places.